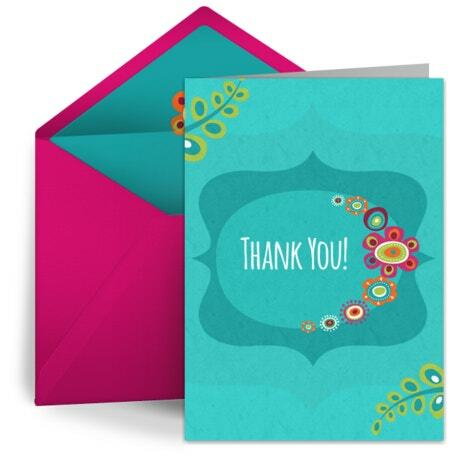 Thank you cards are a great way to show your gratitude for the efforts taken by someone for you. These cards build relationships, make you feel good, increase your opportunities, and demonstrate your communication skills. 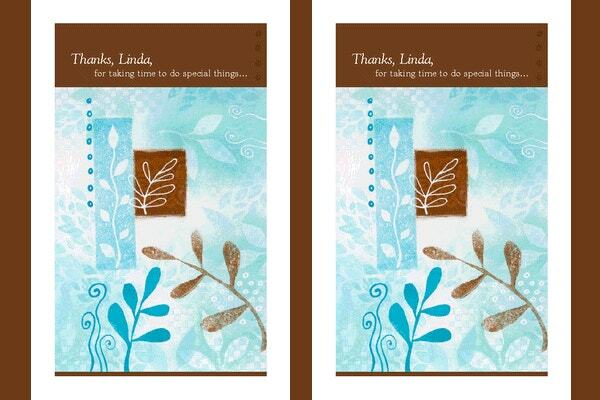 These have a more personal touch than texts or emails. 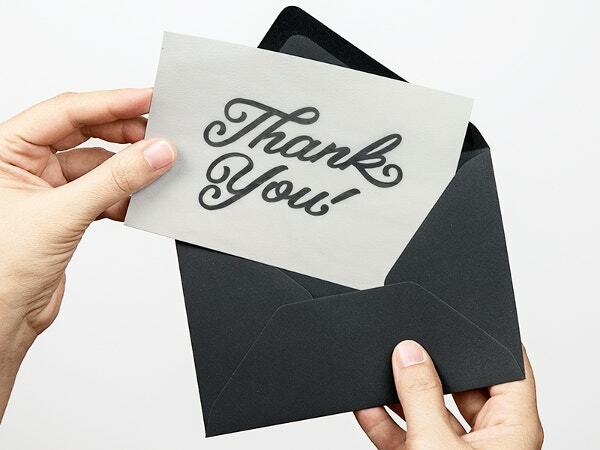 So, it is good to have some Thank You Cards handy. 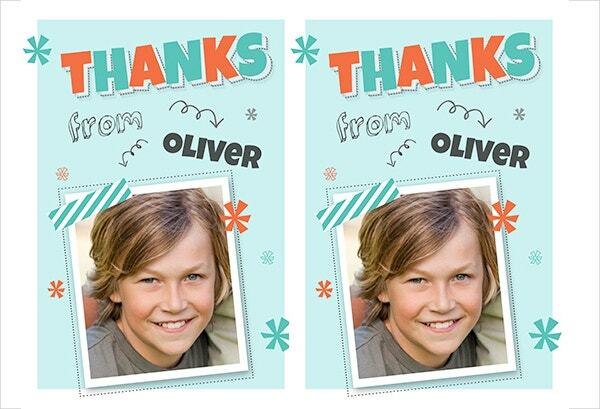 Here is a collection of free thank you card designs some of which you can customize and use. 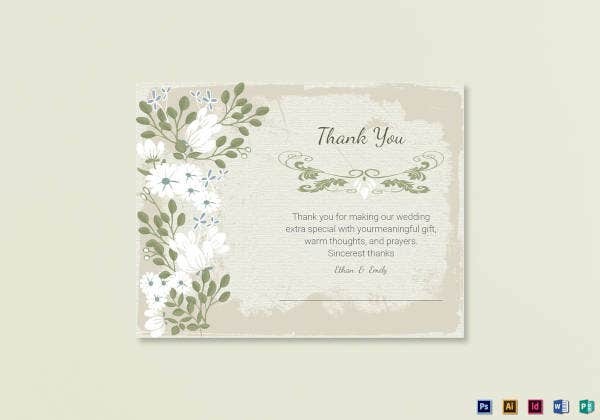 Feel free to download your choices.You may also see Card Templates. 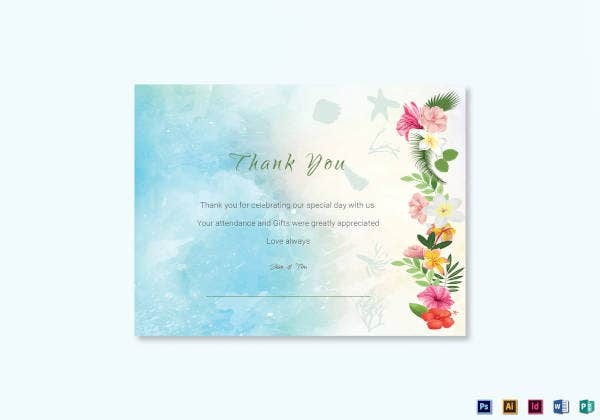 This beautiful blue colored double-fold Thank You Card comes with a lovely pink colored envelope. 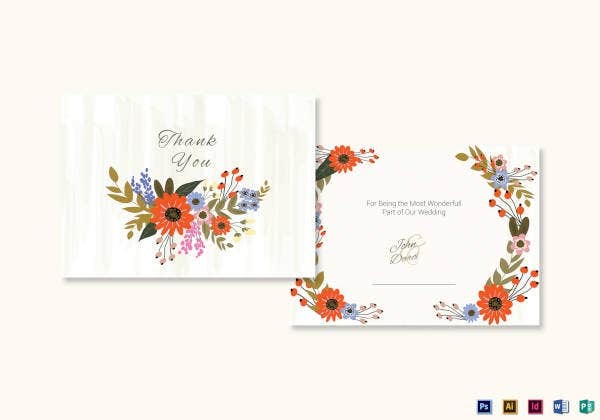 You can customize the design, text, and envelope. 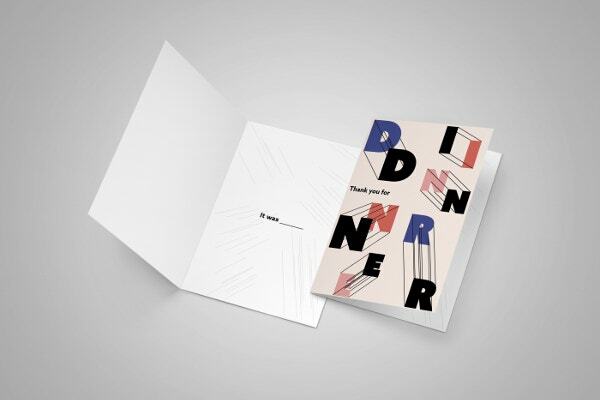 This colorful and fun-filled thank you card is of the dimension 5 x 5 inches. 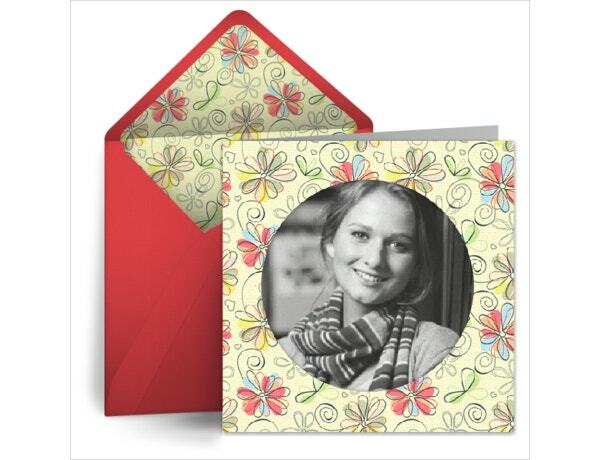 This fully customizable card comes with 10 different inner layouts. 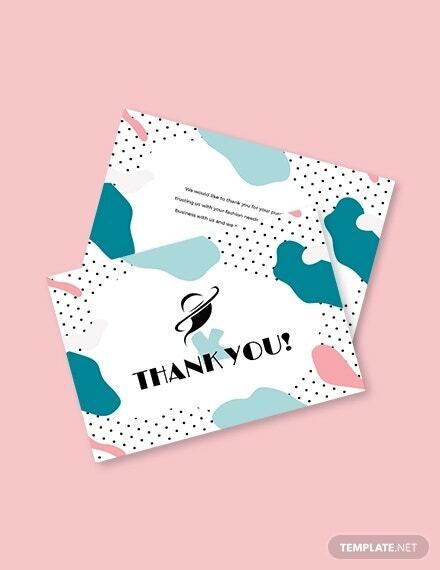 This customizable thank you card with photo circle comes with a beautiful envelope. 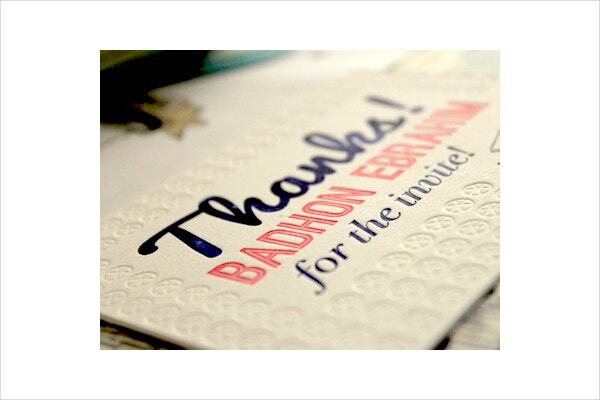 You can customize the text, design, and the envelope. 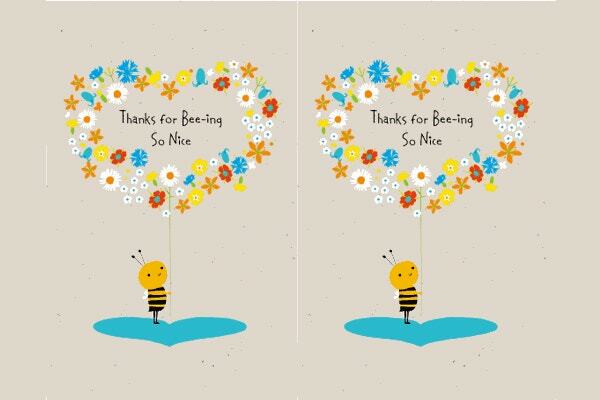 This printable thank you card comes with the verse “Thank you for bee-ing so nice” inside a floral heart held by a cartoon bee. It cannot be edited. 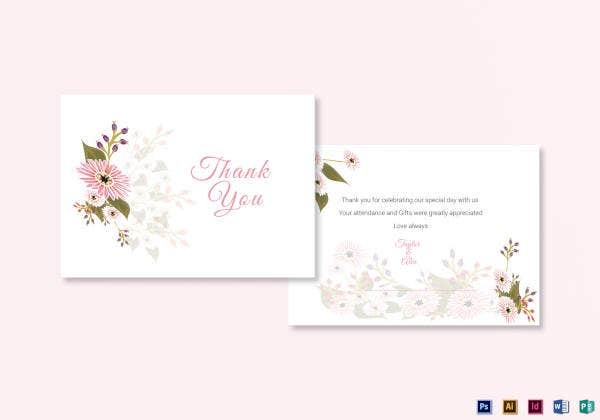 This floral birthday card of the dimension 5”x5” is customizable, printable, and comes with 10 inner layouts. 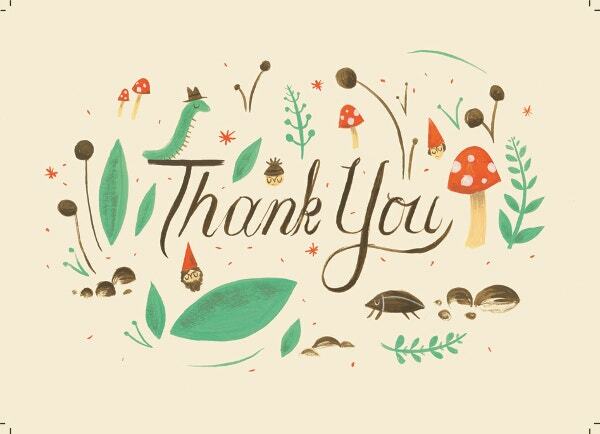 You can also send this as an e-card. 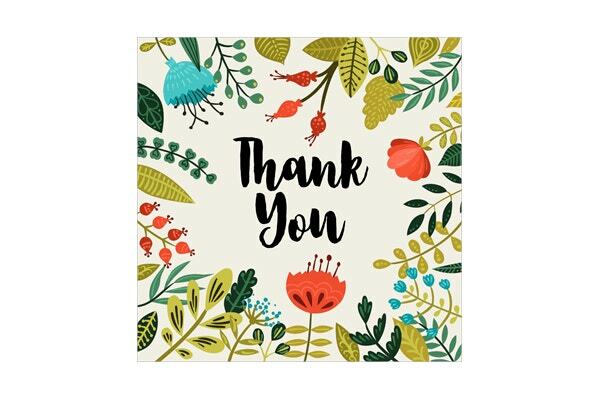 This elegant and fresh-looking thank you card has each of its letters painted both in red and blue on a white background. 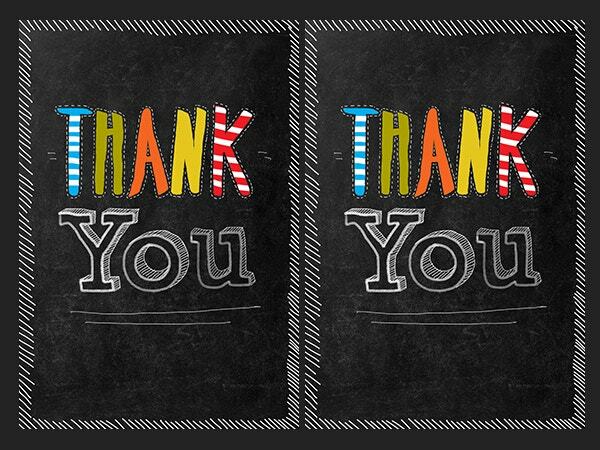 A great option for thanking your colleagues and boss! 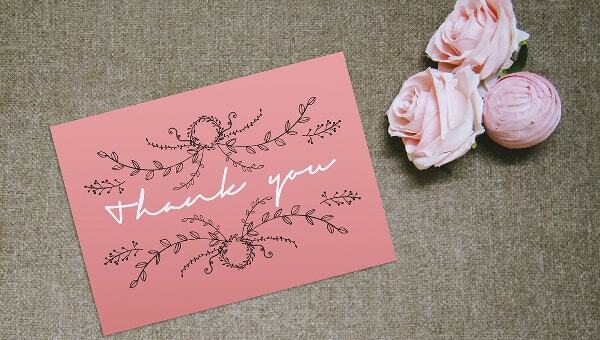 This elegant customizable thank you card has space for adding your photo. 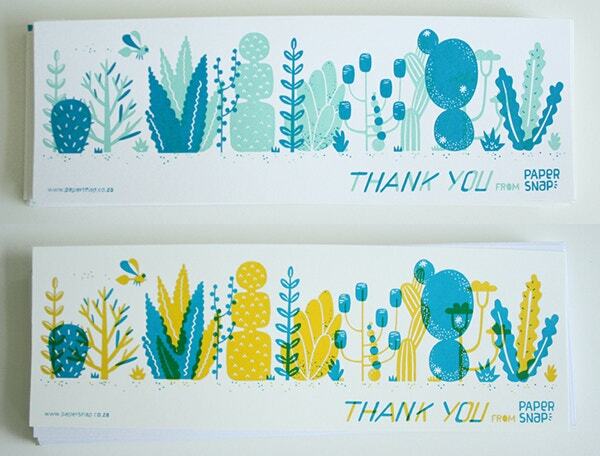 It comes with a nice envelope as well. 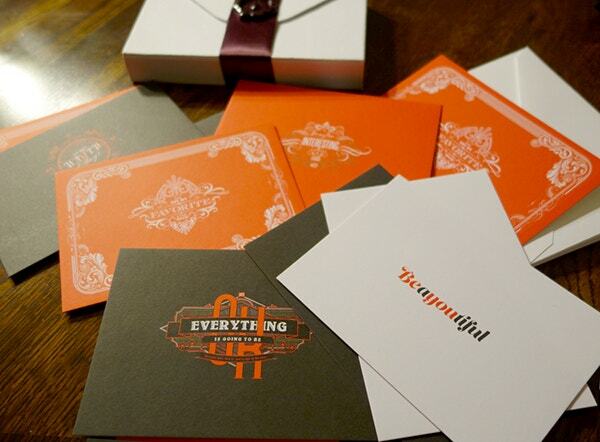 The envelope is also customizable. 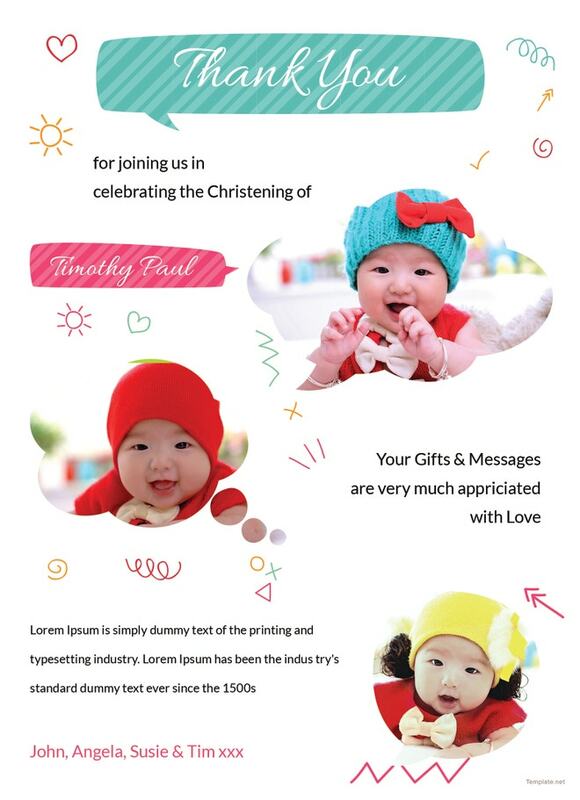 You can include a gift. 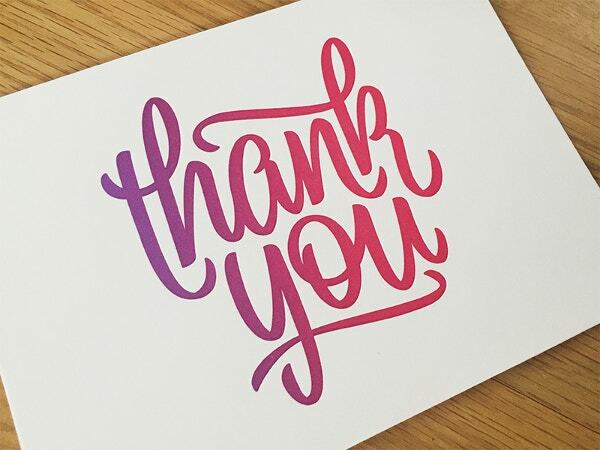 This thank you card with colorful letters on a black background is of the dimension 5”x7”. 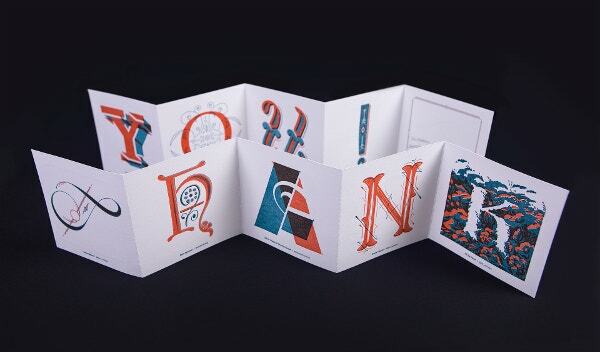 It is customizable, printable, and comes with 7 inner layouts. 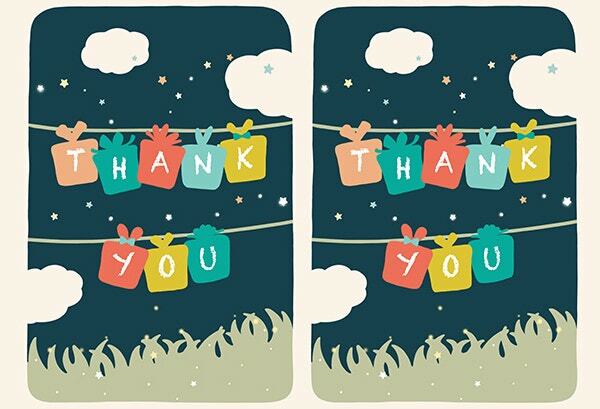 This can also be sent as an e-card. 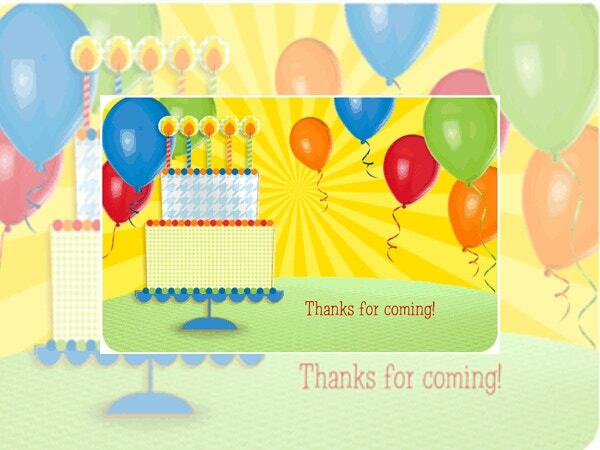 This printable thanksgiving thank you card has an image of a cake with candles and colorful balloons. It has an inside verse and a cover verse. It is not editable. 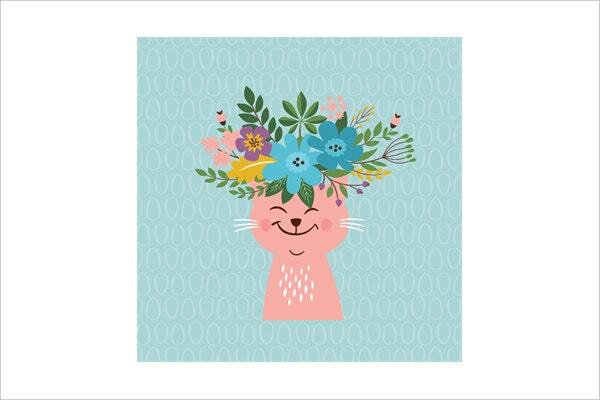 This cute and creative thank you card bears an illustration of flowers over the head of a smiling cat. It is of the dimension 5”x5”. It comes with 10 inner layouts. 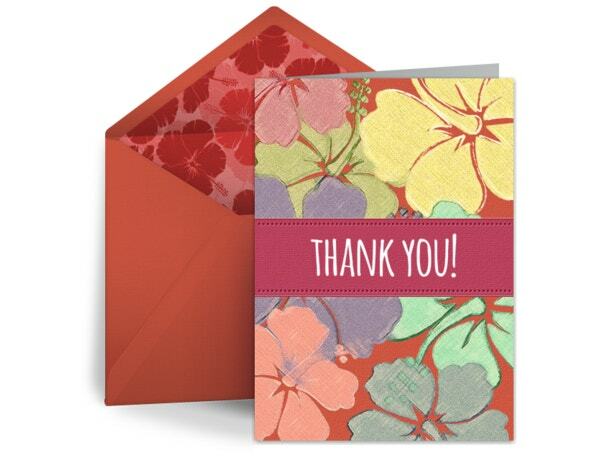 This elegant customizable floral thank you card is unique and comes with a nice red colored envelope. 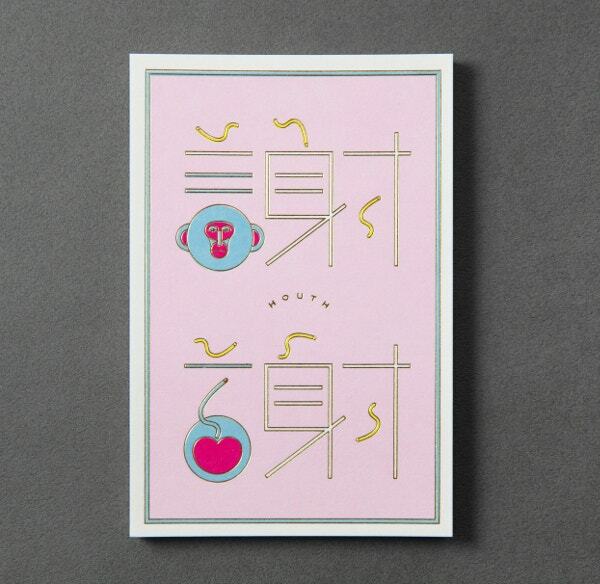 The envelope is also customizable. You can also include a gift. 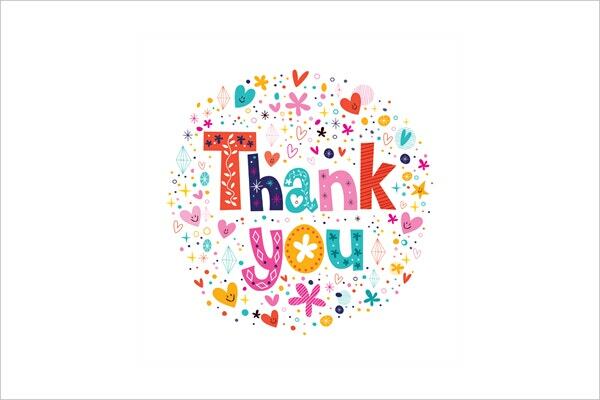 This is a photo thank you card. It is of the dimension 5”x7”. 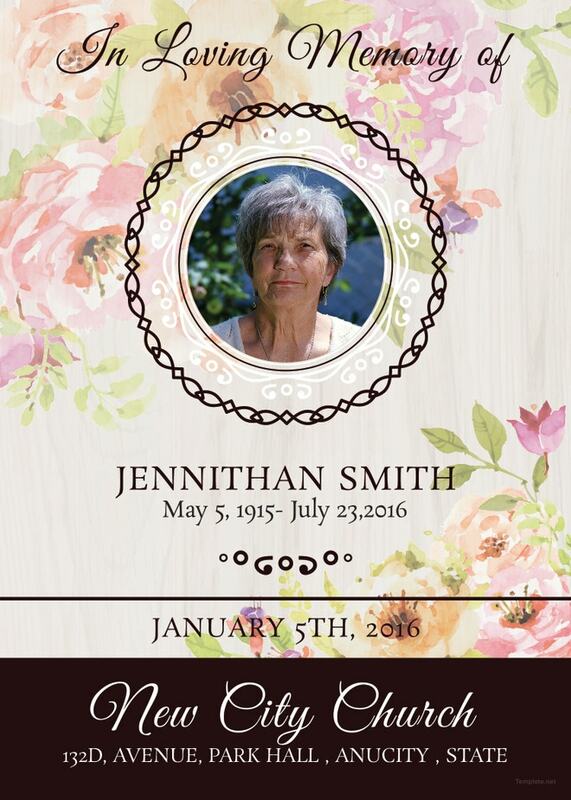 It is customizable, printable, and comes with 7 inner layouts. This can also be sent as an e-card. 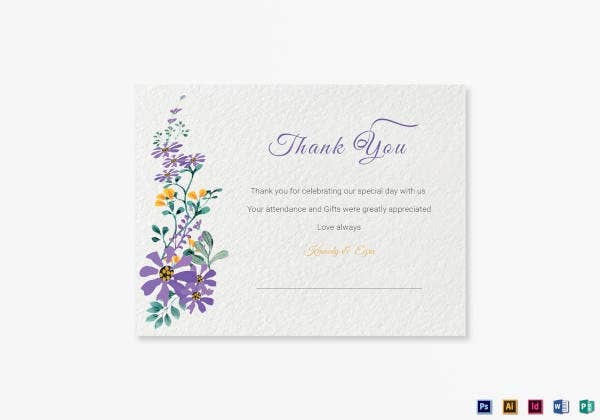 This customizable letterpress thank you card is elegant and is for thanking someone for inviting you to their special occasion like birthday, anniversary celebration, wedding, engagement parties, etc. 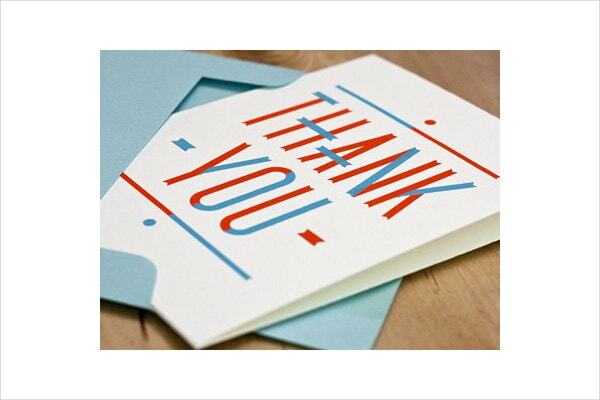 A thank you note template is a great aid for conveying your gratitude. 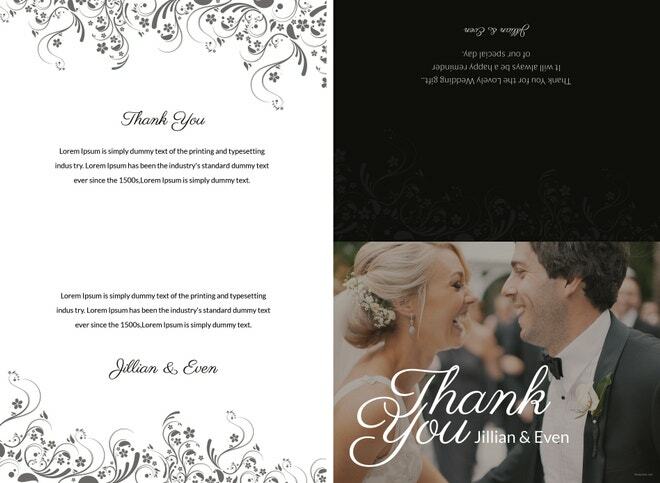 Include your thank you letters to our editable templates to add a personal touch. 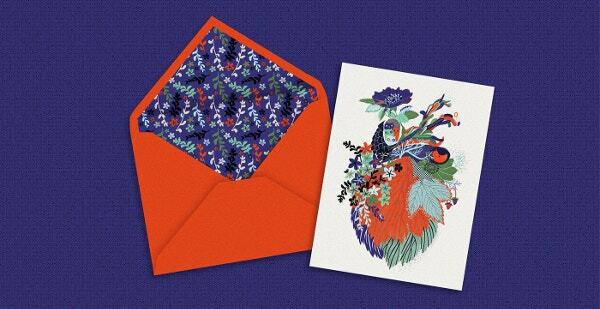 You can talk about the gesture or gift, and how much it meant to you in your letter. 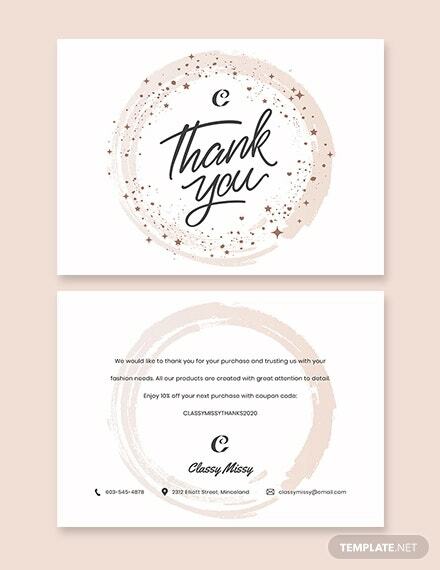 Download from our collection of Business Thank you Cards Templates and send them out whenever you would like to.